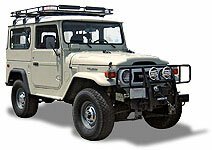 Fits 1958-9/72 FJ40. This is an UPDATED part - Original part was 65 inches pin to pin, this is 54 inch pin to pin and Toyota tag says Rear. 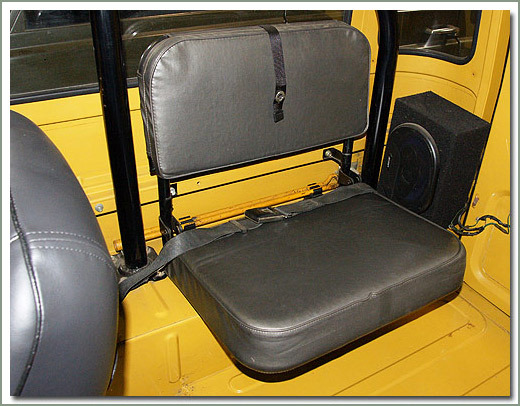 Fits 9/72-1/76 FJ40 front - This is an UPDATED belt that is non retractable - length is 54 inch pin to pin and Toyota tag states Rear. 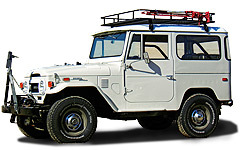 Fits 1958-1/75 FJ40 - Comes with Rec 305-47 - length is 54 inch pin to pin. 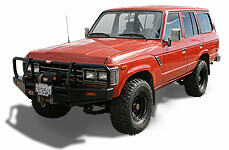 Fits 1/75-1/79 FJ40 - Comes with Rec #305-47. Length is 54 inch pin to pin. 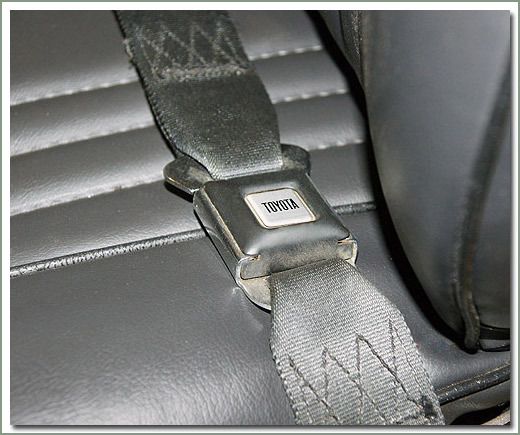 The early retractable Cruiser seat belts are no longer available from Toyota. Specter has located an aftermarket belt that is D.O.T. approved. 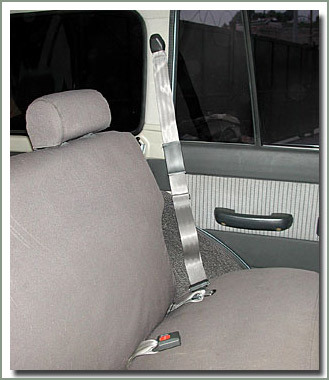 This is a three point, shoulder harness type seat belt that comes with a receptacle. 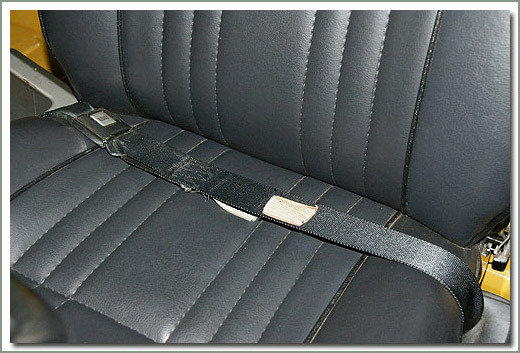 This Front Replacement Seat Belt fits 1/76-1/79 FJ40. 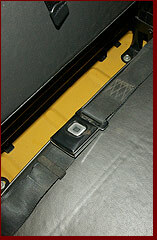 The retractable belt is 115 inches long and the mechanism is located in a 4-inch x 4-inch x 3-inch plastic covered housing. The receptacle is 9 inches long and is protected by a hard plastic sleeve. The belt assembly has mounting holes for a maximum of 1/2 inch or 13mm hardware. Hardware is not included. Available in black. Sold each. 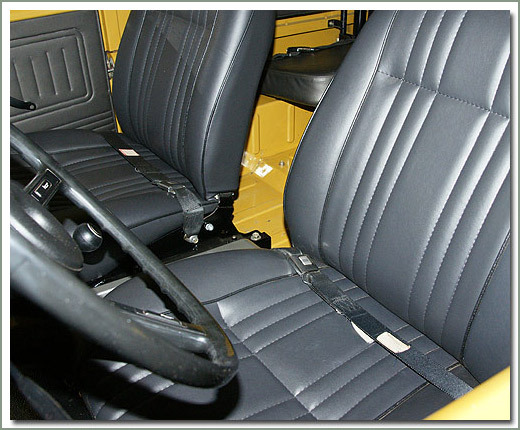 For those of you interested in putting in rear 3-point belts in your pre 8/88 60 & 62 Series wagons we have the solution. 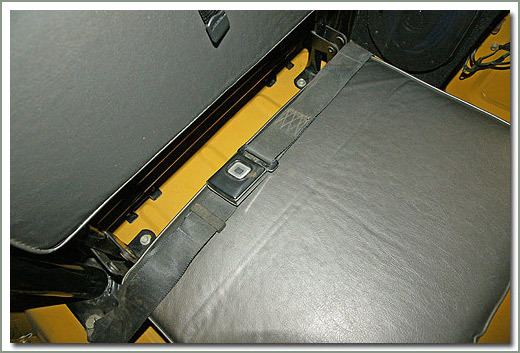 The belts from the 8/88 & later wagons cannot be used due to structural changes made to the body tub itself. 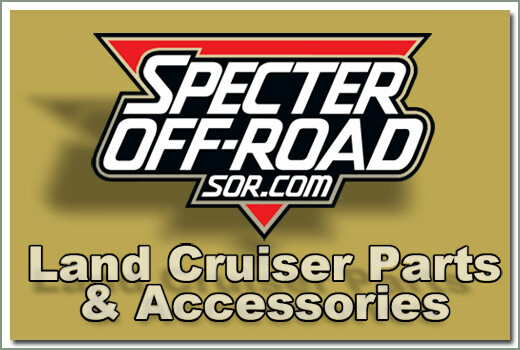 SOR offers a factory O.E.M. 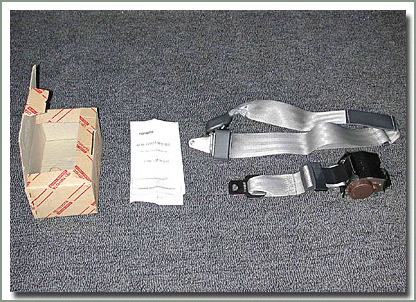 conversion that allows you to change your existing lap belts (outer belts only) to a 3-point system with a non-retractable shoulder belt. 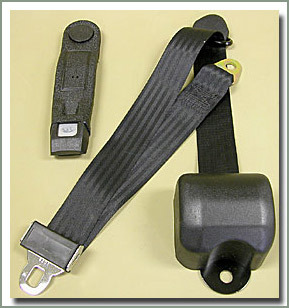 The belt hangs down from the doorpost and clips into the retracting portion of the lap belt (included). 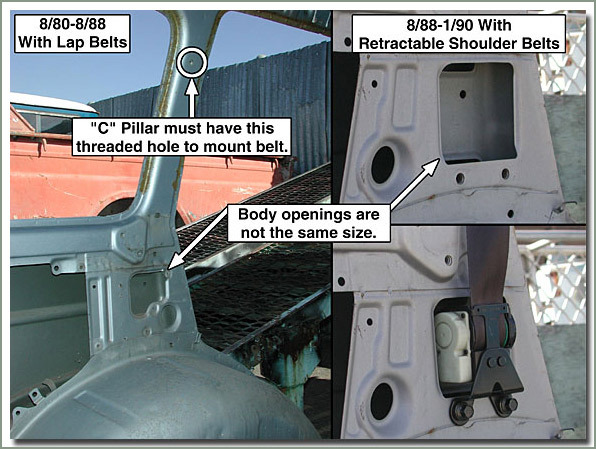 The door post must have a threaded hole to mount shoulder belt. We highly recommend verifying that you have a threaded hole in the doorpost first (all wagons have this hole, but not all are threaded). Installation is very simple using basic hand tools. 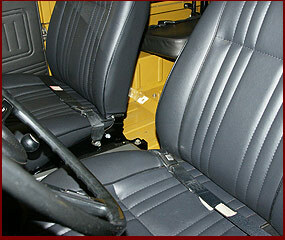 This conversion is great for those of you that have small children and would like to put their car seats in the back. 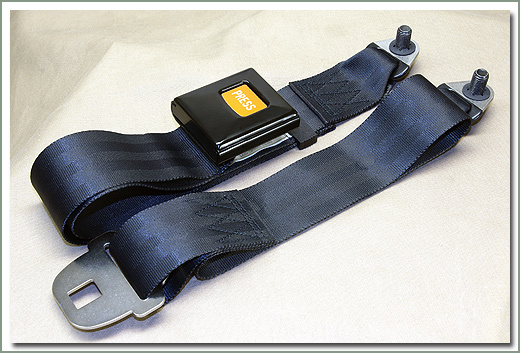 Brown - Fits 8/80-8/88 60 and 62 Series - Comes with a non-retractable shoulder belt and retractable lap belt - Converts 1 outer lap belt. Bolt needed to mount belt to pillar is included. Grey - Fits 8/80-8/88 60 and 62 Series - Comes with a non-retractable shoulder belt and retractable lap belt - Converts 1 outer lap belt. Bolt needed to mount belt to pillar is included.